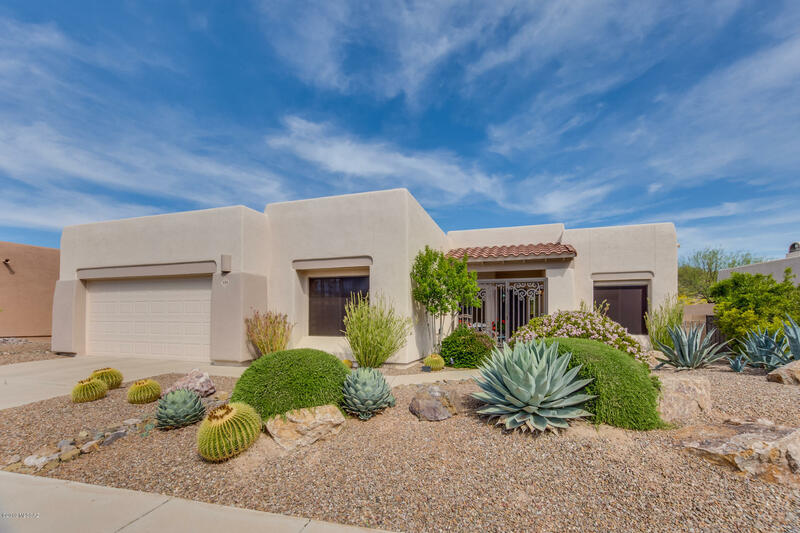 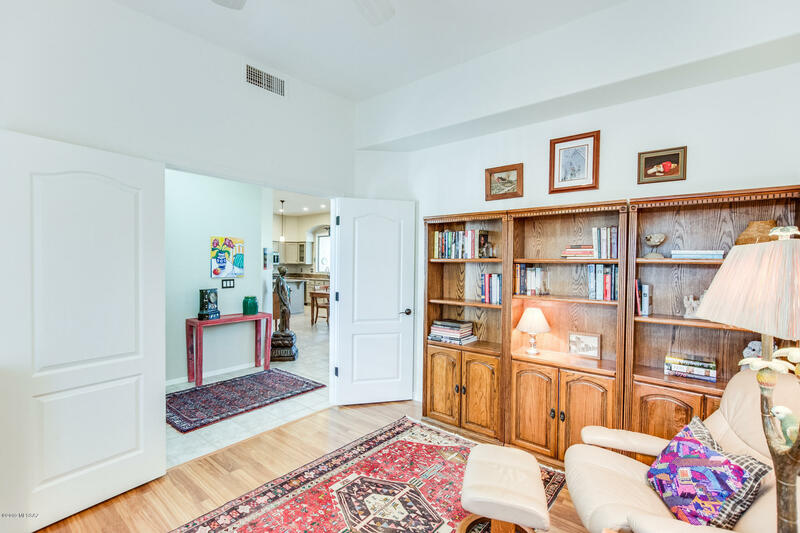 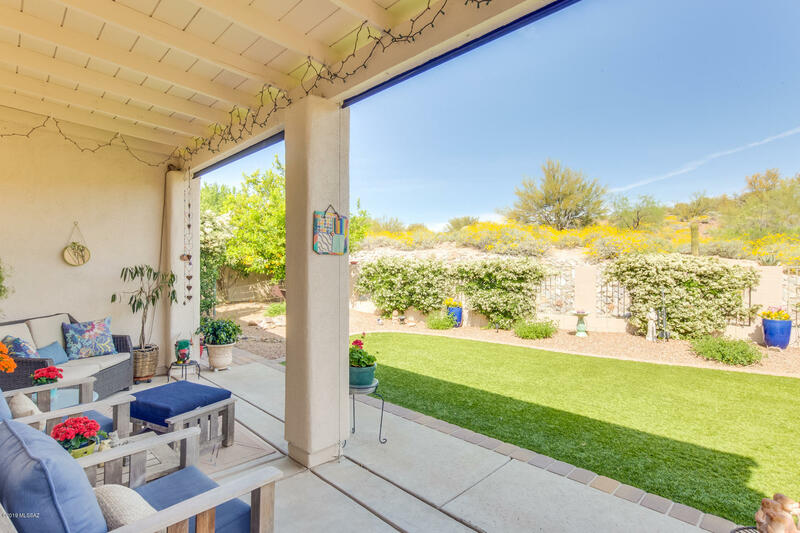 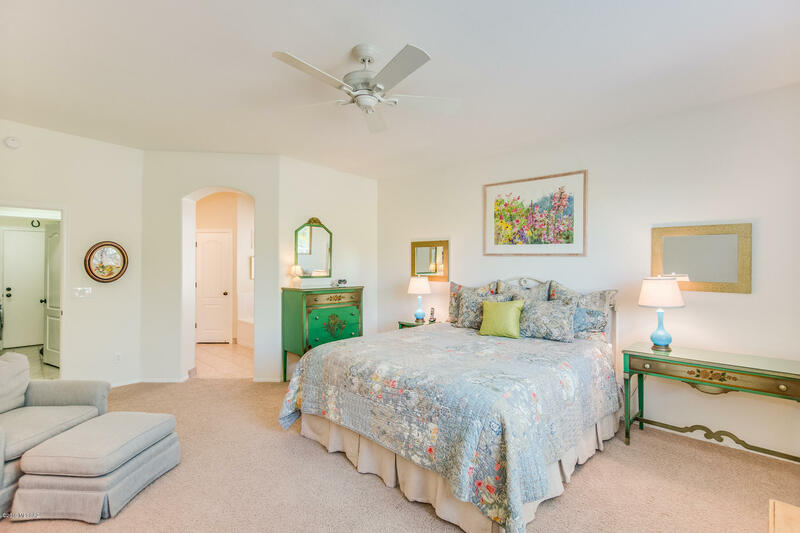 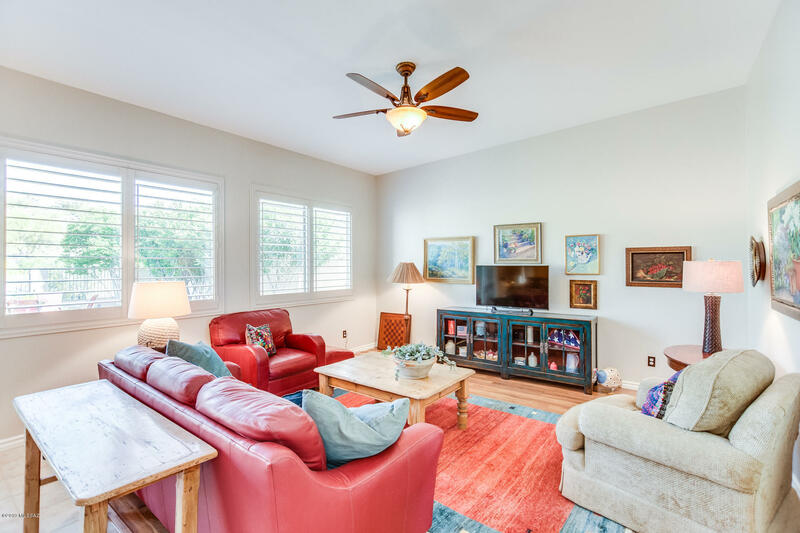 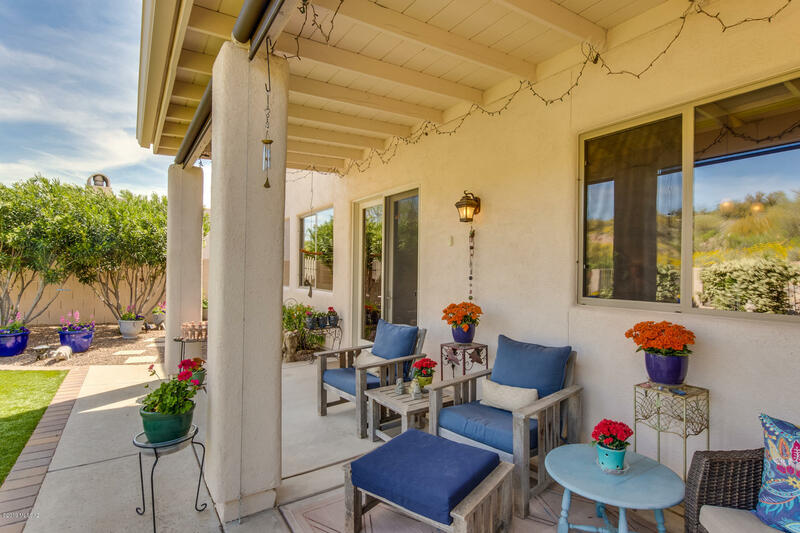 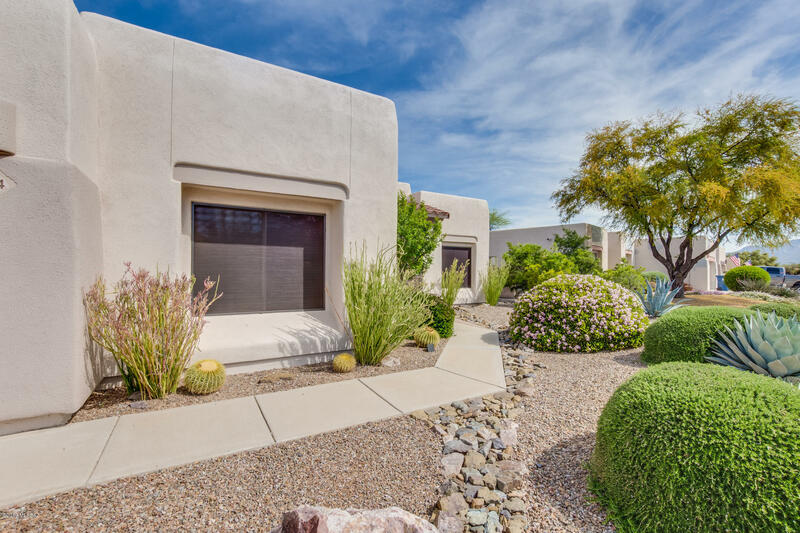 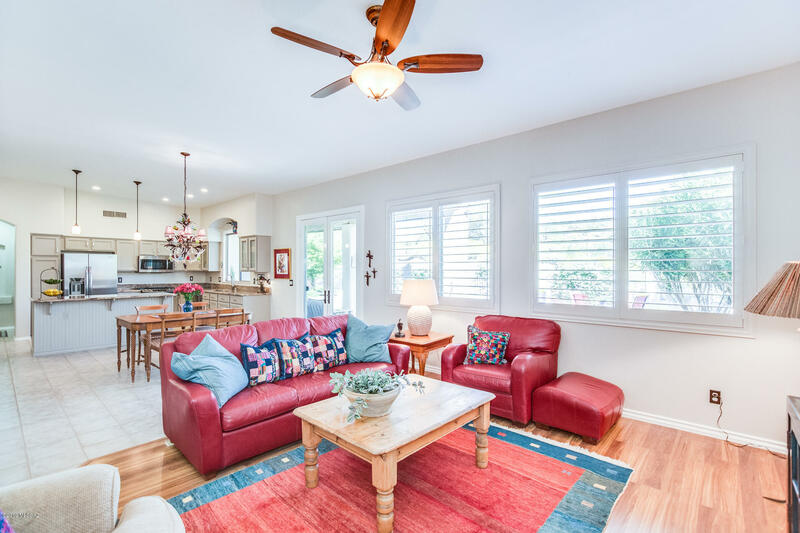 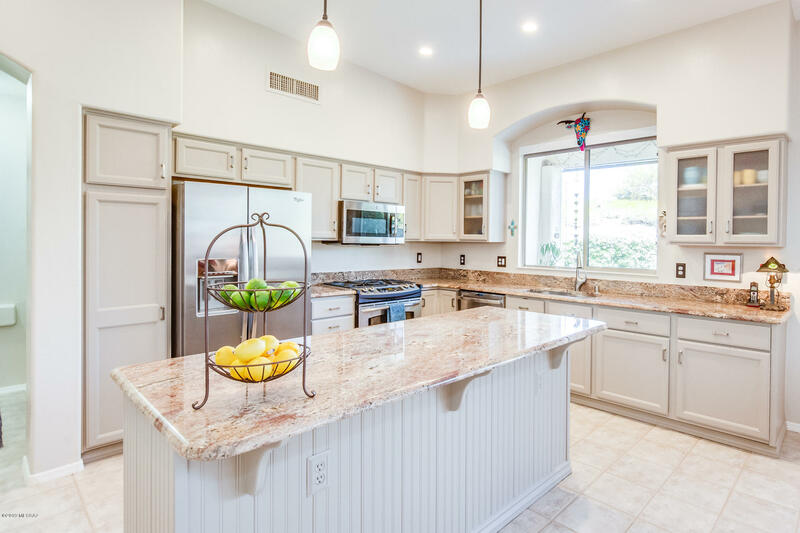 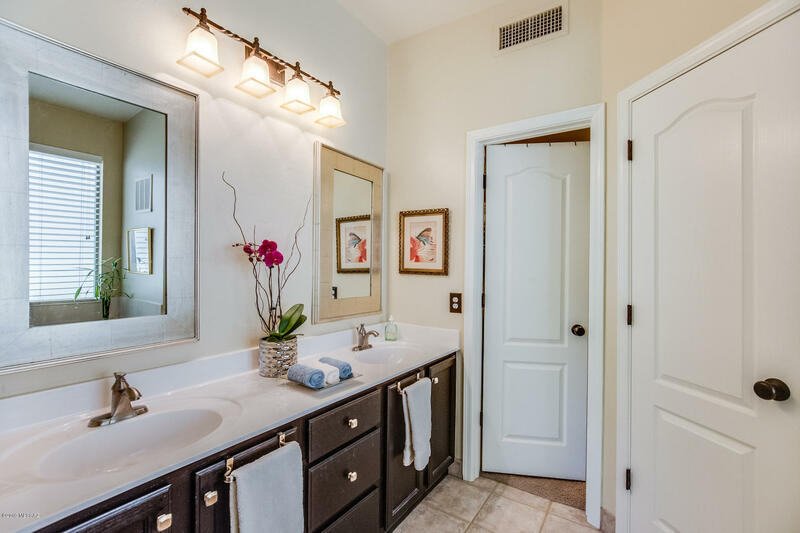 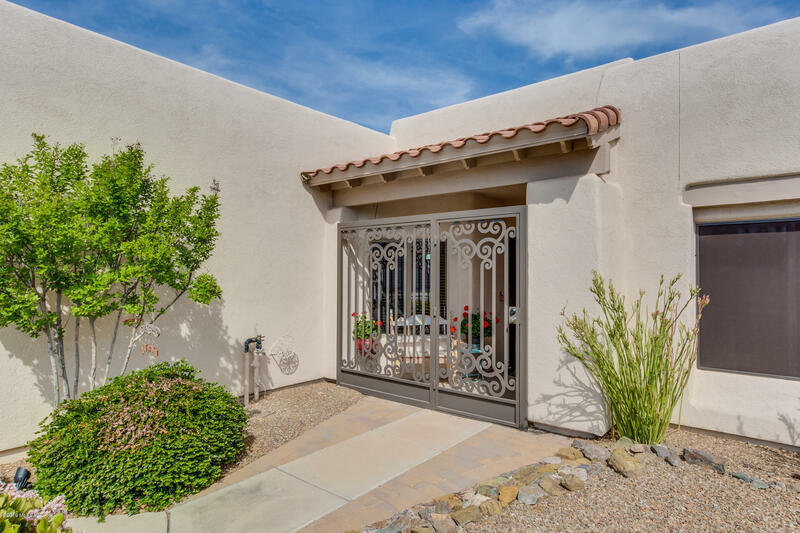 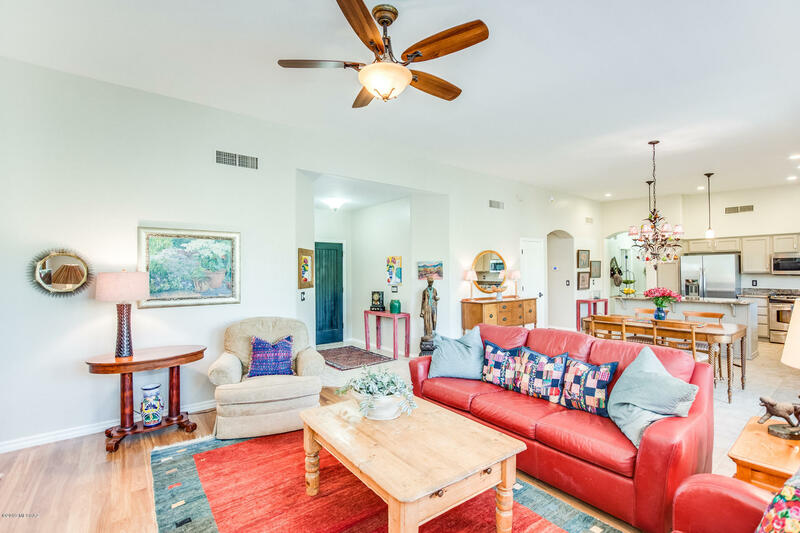 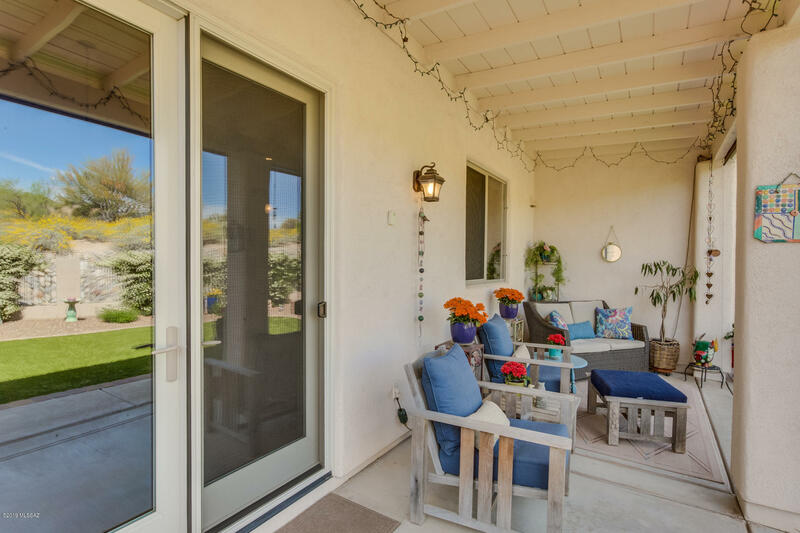 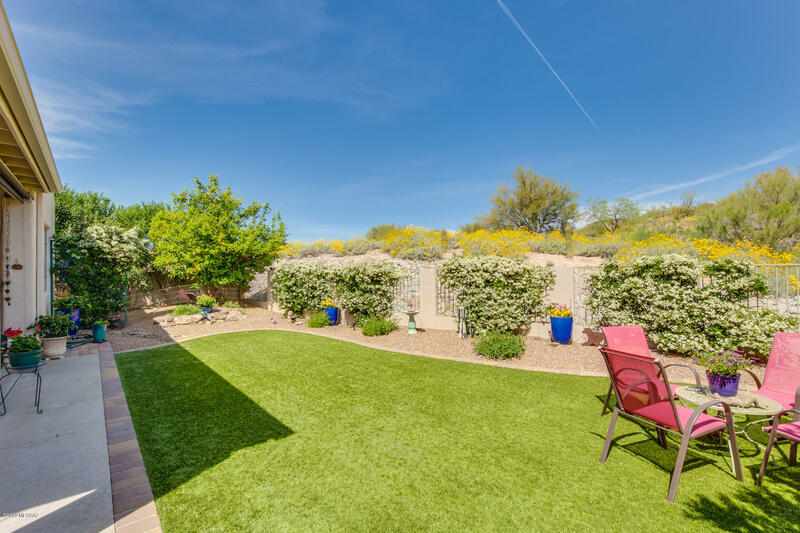 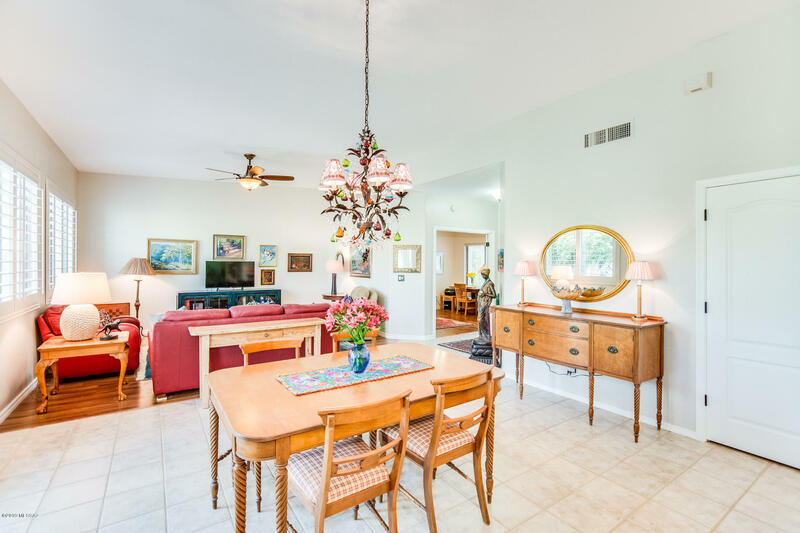 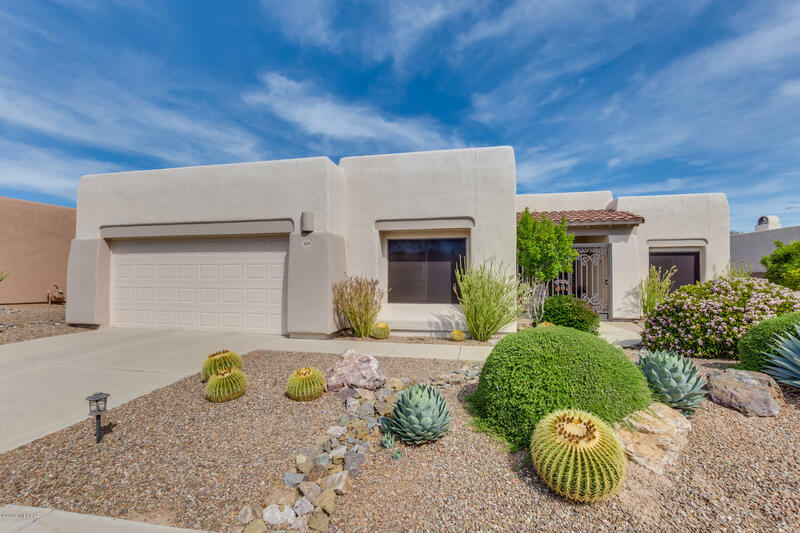 Bright & airy 3BD+Den with 2 full baths (1,849 sq ft) home in the heart of Oro Valley. 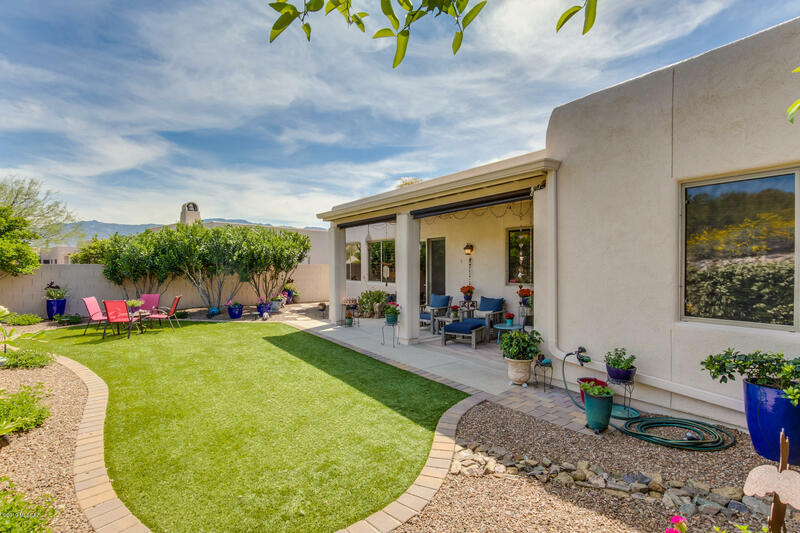 No neighbors behind ensuring privacy and tranquility. 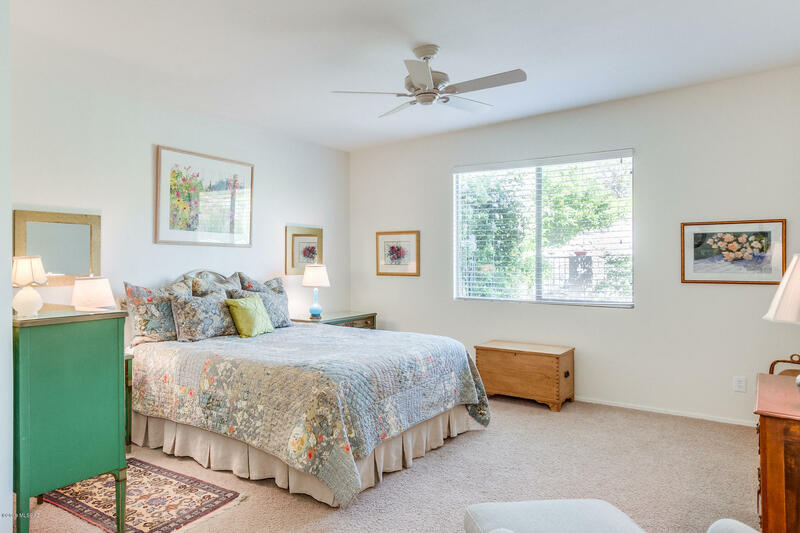 Open floor plan with split bedrooms for modern living. 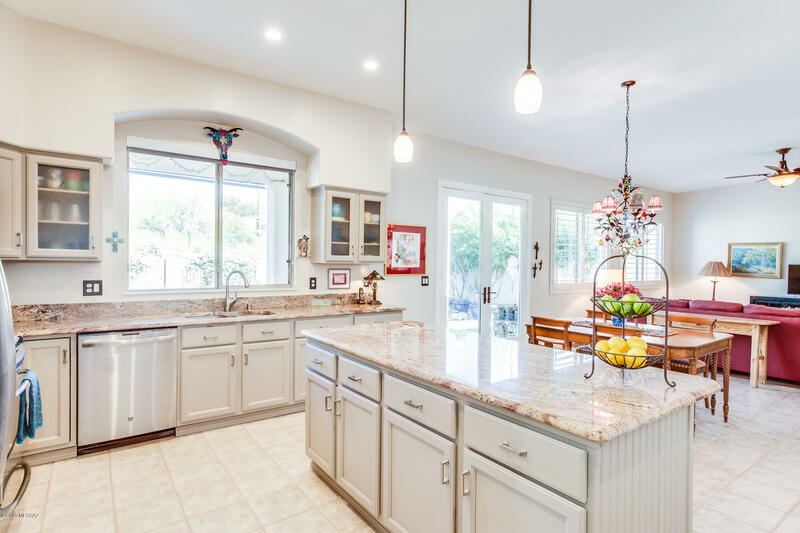 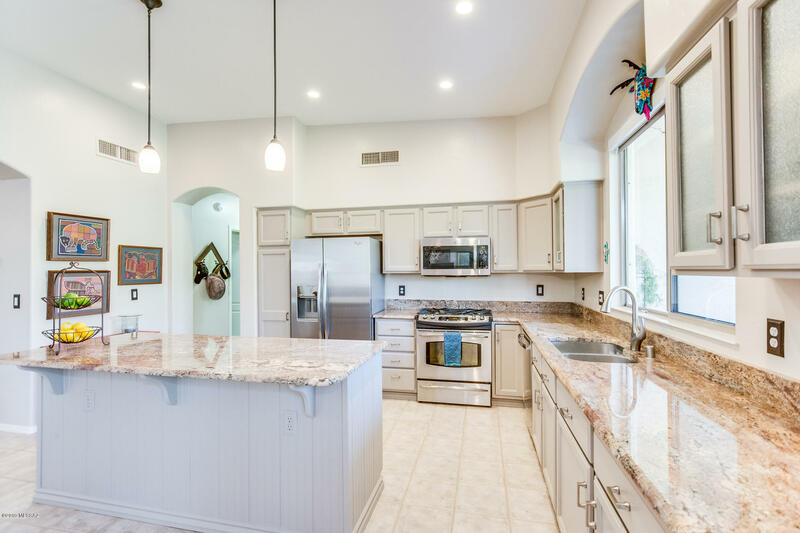 Open concept chefs kitchen with granite counter tops, SS appliances, pull-out shelves & plenty of storage. 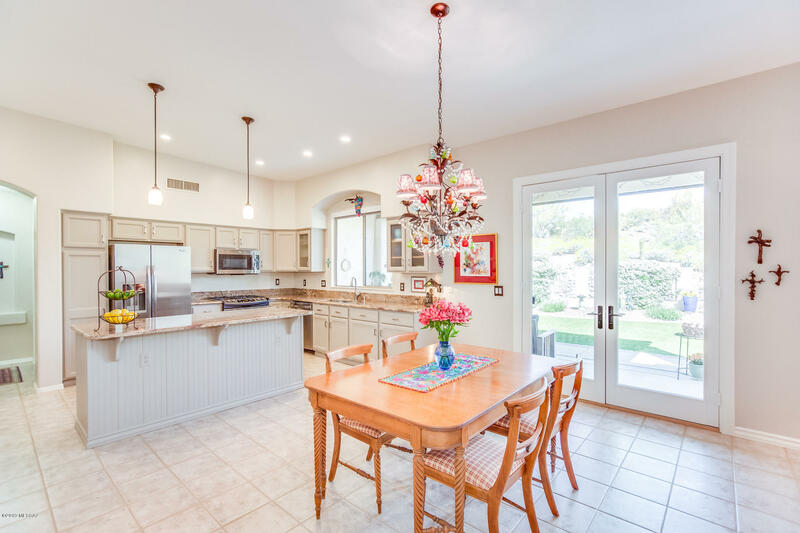 Great room opens to kitchen. 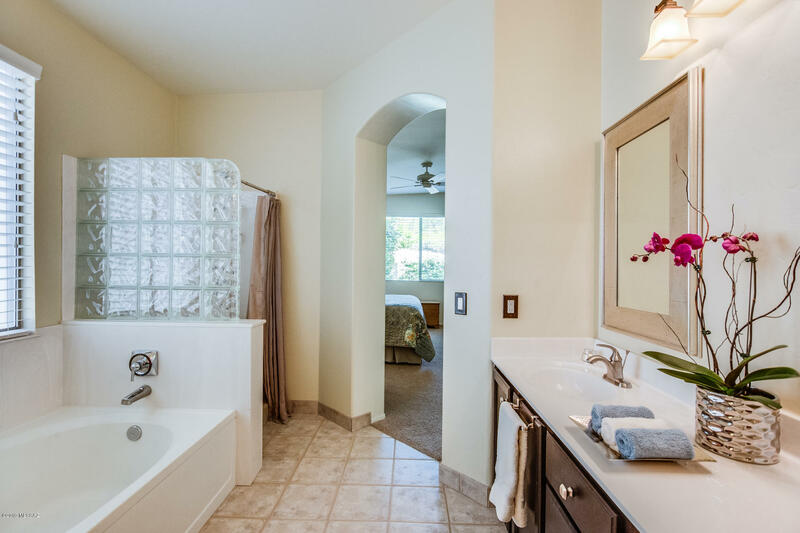 Spacious master bedroom with luxury bath. 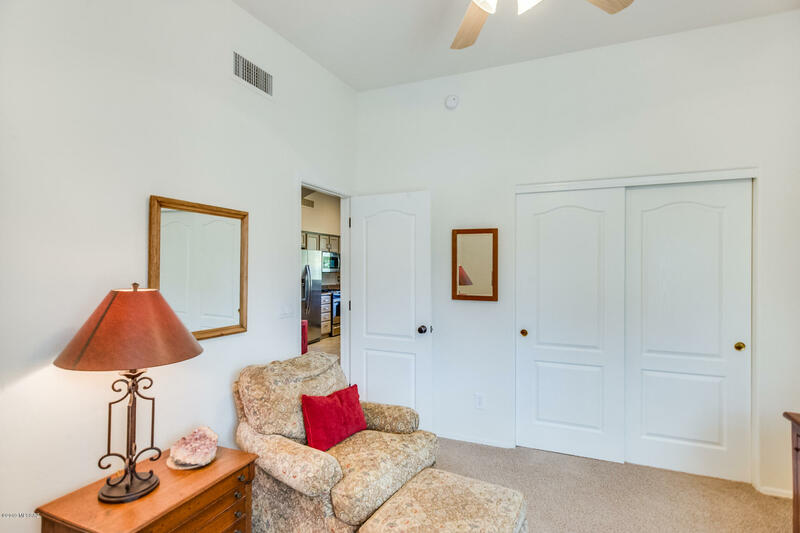 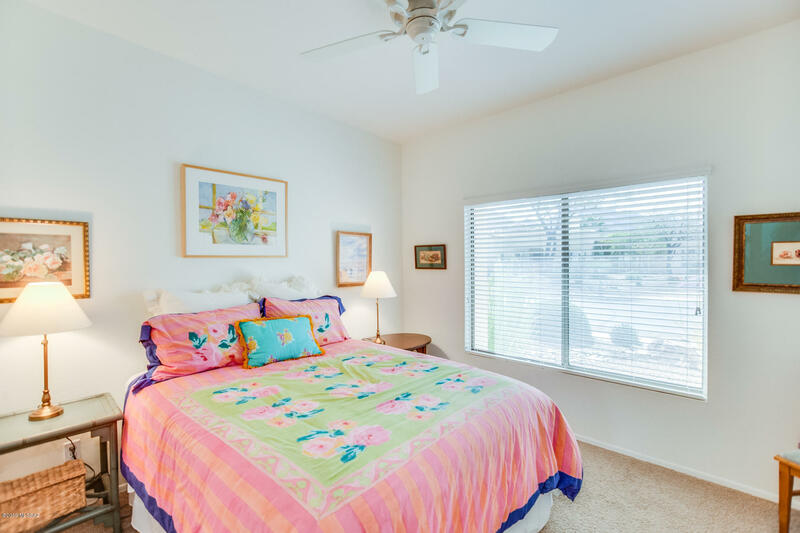 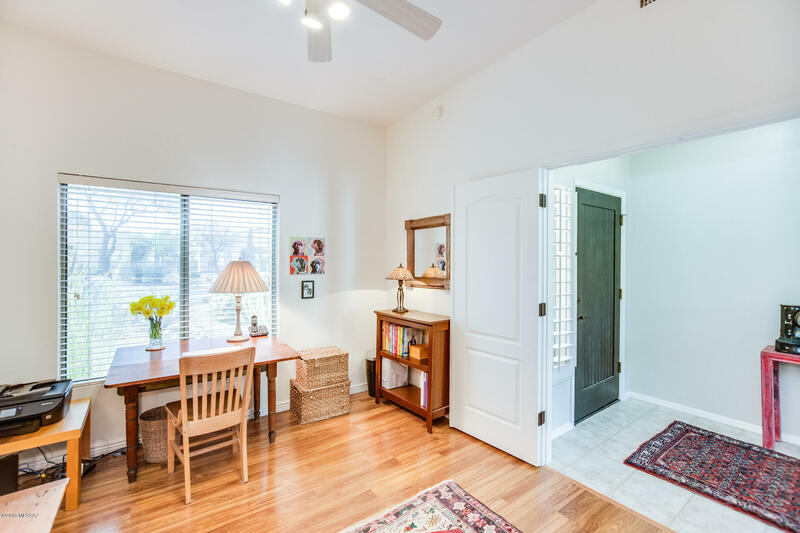 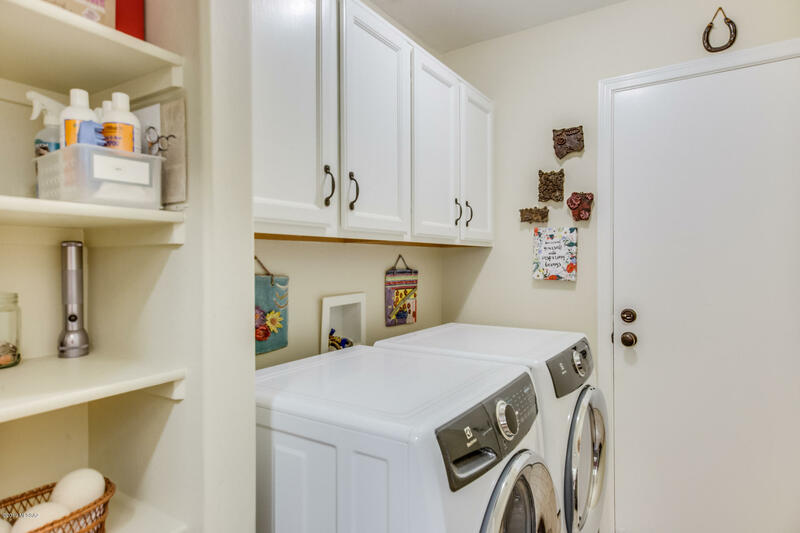 Other features include den, gated patio entrance, vaulted ceilings, skylights, solar shades on all windows and more. 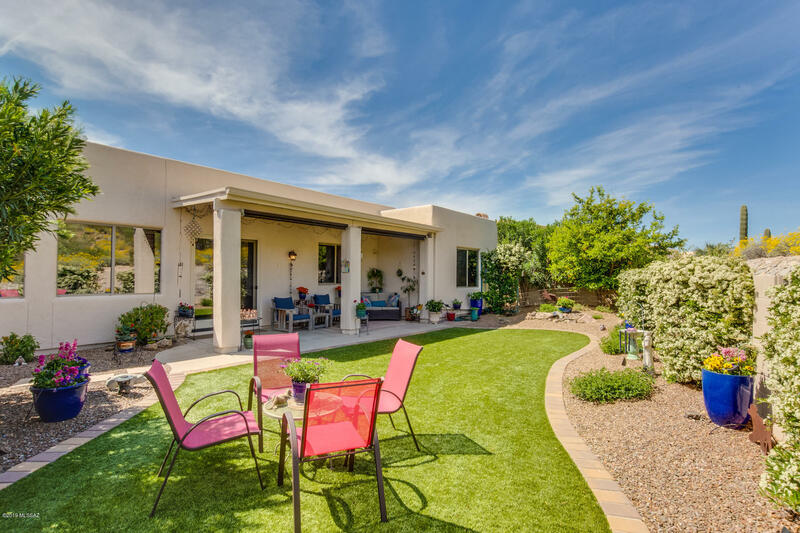 Outdoor living at its finest. 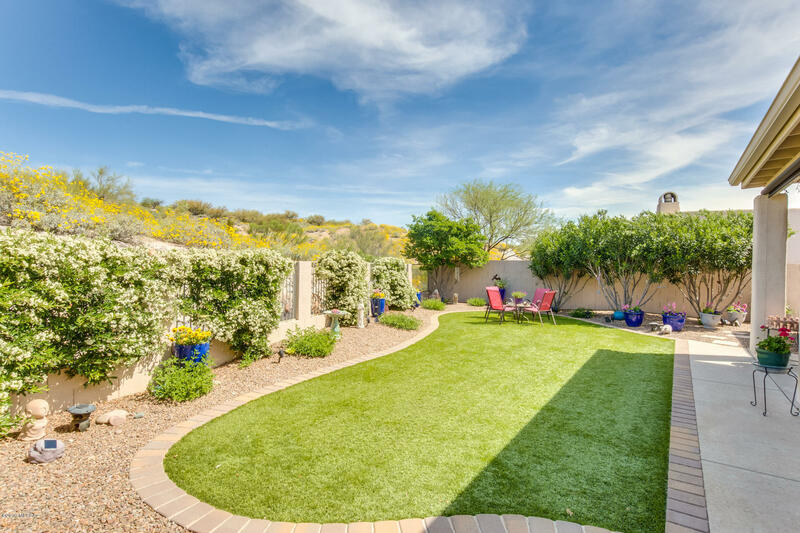 Tranquil rear yard boasts a covered patio, faux lawn and lush landscaping. 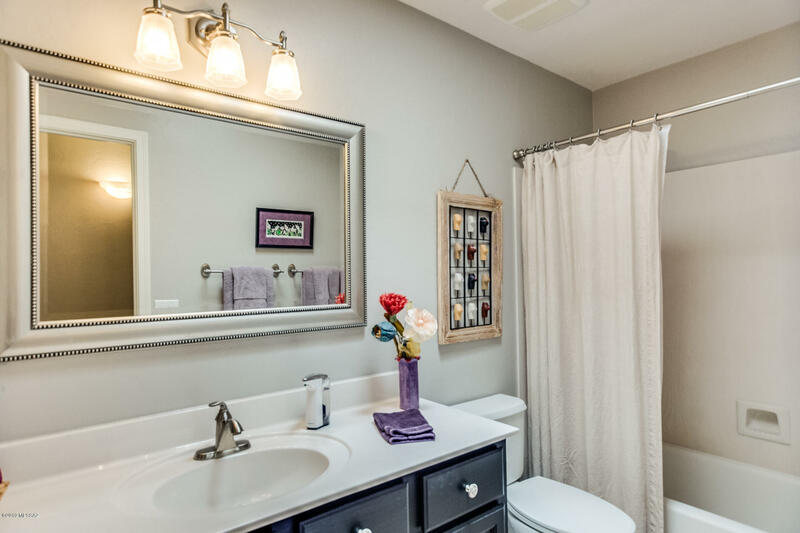 This well maintained and private home is a must see!